The Flu is a virus. It's actually called the influenza virus but the word flu is easier to say and spell. The influenza virus actually comes in 3 types: A, B & C. Of those only influenza A is further classified in to subtypes HA & NA. Type A can be found in humans, horses, pigs, birds and other animals. Type B is generally only found in humans and can cause epidemics and death. Type C causes mild illness in humans. Everyone and just about everything can get the flu. Everything from farm animals to wild animals to humans can get the flu. The virus has been around and mutating long before you or I walked this Earth. The virus will be around and will still be mutating long after we are gone. Some types or strains are but they are also less common. This isn't the first time in our history that we humans have been faced with an outbreak of the flu. In 1918-19 the Spanish Flu spread world wide and killed many in its path. Those who cared for the sick, doctors and nurses, were hit the hardest because they were exposed to the virus regularly. The epidemic faded away on its own. In 1957-58 there was an Asian Flu epidemic. In 1968-69 and again in 1970-72 it was the Hong Kong Flu. With all of these outbreaks humans began to create natural immunities and again the virus was forced to mutate before it could strike again. Note these were all the human based flu, not animal. What about animal based Flu? Does anyone remember the Swine Flu panic of 1976? People panicked and while a vaccine was developed and given to many people, then the feared pandemic never even occurred. What is the Bird Flu? Let me start off by saying there are several types of bird flu. The bird flu itself has been around as long as birds have existed. The bird flu is in every part of the world that can support avian life. 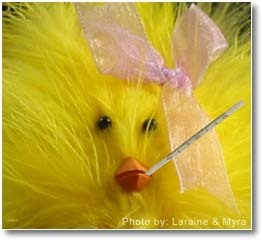 Only one type of bird flu is causing all this commotion. 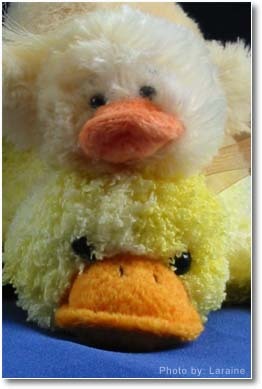 It is H5N1. The H5N1 is a subtype of influenza type A. Type A viruses can affect humans, pigs, horses, birds and a whole host of other animals. As stated earlier, influenza type A is divided in to two subtypes named on the basis of the two proteins on the surface of the virus- Hemagglutinin (HA) and Neuraminidase (NA). There are 16 known HA subtypes and 9 known NA subtypes. Of all those possible combinations H1N1, H2N1, H7N8 etc, only one is the �bird flu� you hear about on the news. Some of these subtypes don't even affect humans. How will it get to the USA? There are a few possible ways the H5N1 bird flu virus will enter America. Note I refer only to the H5N1 subtype, the bird flu virus itself has been in America longer than humans have been here. With migrating birds. The birds (mostly water fowl) migrate in from Asia over to Alaska, down through Canada and in to the USA. This is the most likely scenario and it will affect birds on the west coast first. With smugglers. If a sick bird is smuggled in to the country, the virus could appear at any major seaport or airport anywhere in the USA. When birds are imported through proper channels, they go through health screenings and quarantine which keep sick or infected birds out of the country. What will happen when it reaches the USA? The same thing that happens to most new illnesses introduced in to a population that has never been exposed to it. 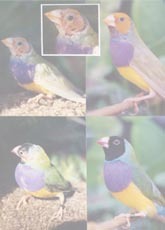 Many of our native birds may die. Free range poultry farms will most likely be hit the hardest. Over time our wild and domestic bird population will develop a resistance to the virus. The virus will fade away until it mutates again. More than likely the states and national government will issue vaccinations to the bird flu. If you are a poultry farmer, I'd even suggest you get the vaccination. If you've never seen a live chicken in your life, you probably won't need a vaccination. How is the Bird Flu transmitted from bird to bird? Primarily it is transmitted through bodily fluids. This can be in the form of the droppings, in the saliva or mucus in the nares. If an infected bird sneezes the virus is airborne for as far as the moisture from the birds sneeze in airborne. Normally it lands on a solid surface fairly quickly and then waits for another bird to touch it and pick it up. It can also be transmitted if an infected bird shares a stagnant water source with other birds. The virus will live in that water source for a short while. Beak to beak contact will spread the virus as would a bird stepping in an infected birds droppings then cleaning its foot with its' beak. 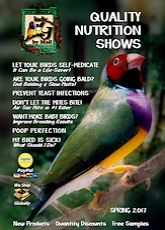 How will my pet birds be affected? If your birds are kept outside, then their risk of exposure is a little higher. If they come in to contact with wild birds or their droppings, the chance that they will catch the flu is slightly greater. Let me also put it this way: I've owned birds for 20+ years now. I've kept pet birds and worked to rehabilitate wild birds which put my own pet birds at a slightly higher then normal risk of being exposed to anything carried by a wild bird. The wild birds never came in to direct contact with my birds and I always washed my hands after handling a wild bird. These are the two main precautions everyone must take when working with wildlife. 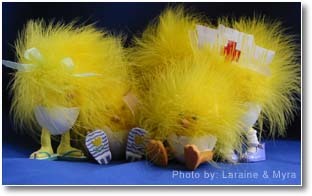 In all of those years, none of my birds ever developed any type or strain of the bird flu. Now think of yourself. If you've had birds in your life 5+ years, you've probably seen an illness or two in your flock. Illnesses happen; they are part of life. In any of those illnesses was your bird ever diagnosed with the bird flu? How can I keep my birds safe? There are things you can do to help keep your birds safe if you really are worried. Don't go to poultry farms and play with the birds. Don't go to the park and feed the ducks or pigeons. Remove your shoes when you get home and don't let your bird play with them. Don't take your bird on outings to unfamiliar locations � stick close to home. Don't bring any wild bird species into your home. If you do handle or feed a wild bird, disinfect your hands and change your clothing before handling your bird. What should I do to prepare? 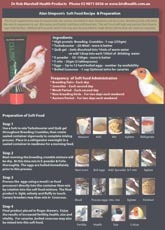 There are a few things you can do before H5N1 hits our wild bird population to help protect your birds. Firstly stock up on bird seed. As long as you keep it in a cool and dry place it will stay fresh for a very long time. 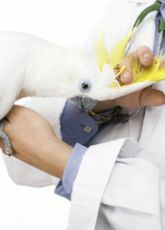 I suggest you keep your birds' medicine chest stocked with an antibiotic and a few supplements such as NV Powder and Thrive, to aid your bird in times of illness or stress. It will also be important to keep your birds' cage and any play areas clean and disinfected, especially if you are going to go to the park and feed the ducks on occasion. If your birds drink bottled water you may want to stock up on that as well. Pet Focus - germicidal disinfectant and cleaner. Effective againist- polyomaaaviris, exotic new castle's disease, psttacsis, e-coli, chiamydia, staph, and bacteria. Thrive - is a full spectrum blend of high potency vitamins, minerals, amino acids, electrolytes and protein for sick or injured birds. NV Powder - Sugar based vitamin, mineral and electrolyte supplement designed to rejuvenate energy depleted and dehydrated birds. If you have birds kept in aviaries or cages outside where they are slightly more likely to be exposed to something I suggest you put up a small barrier between your birds and the wild birds. In the case of an aviary a second layer of screen wire a few inches from the first may not look pretty but it will keep your birds from coming in to direct contact with other birds. Be sure the wire is fine enough to not allow even a sparrow through. In the case of a cage on a patio the simplest thing to do would be to bring the birds inside your home. Or if you are feeling a little adventurous maybe it's time to turn that open patio in to a screened in patio or sun room. It need not be an eye sore, rather a home improvement project. What are the symptoms of Bird Flu in birds? This part is tricky. When birds get sick, they develop the "Sick Bird Look". It doesn't matter if the illness is viral, bacterial, parasite or stress related. Knowing that the Influenza virus is a respiratory illness, look for breathing problems, coughing and sneezing excessively. Please keep in mind that a bird sneezing a few times a day isn't unusual nor is a bird sneezing repeatedly for a few seconds. Usually that is an indication of something irritating the nasal passages and the bird is trying to expel it, much as you do when hit with allergies. Sneezing alone isn't a diagnosis of illness. There are always several indicators when a bird is actually sick. If you really feel your bird has been exposed to the bird flu and may have some symptoms of the flu, take him/her to your local vet. Chances are it's a simple bacterial or fungal infection as these symptoms turn out to be almost every time. What about bird fairs and shows? Chances are they will all be canceled buy your state or local bird organizations. However, if they haven't been canceled, you can still go. There is very little chance any of the birds or people will have the bird flu. If you are nervous, then just don't go. The same applies to bird club meetings. Once H5N1 is in the USA, will you ever be able to eat poultry again? Yes. Cook your food thoroughly and you are fine. Eggs are also very safe. Now if the poultry industry is hit hard with the virus and many birds are euthanized, you may find fewer poultry available at your local grocery store and prices may increase, but it's still safe to eat. Will it spread to humans and become a pandemic? I honestly don't know if the virus will mutate in that direction or not. So far tens of millions of birds have been infected or potentially infected with H5N1 and only 200 people have come down with the same illness. Of those 200 people only about 50% have died, there have been survivors. Why is the media spelling out gloom and doom?